My best photos : Bicycle in Vietnam | Laurent Maumet. 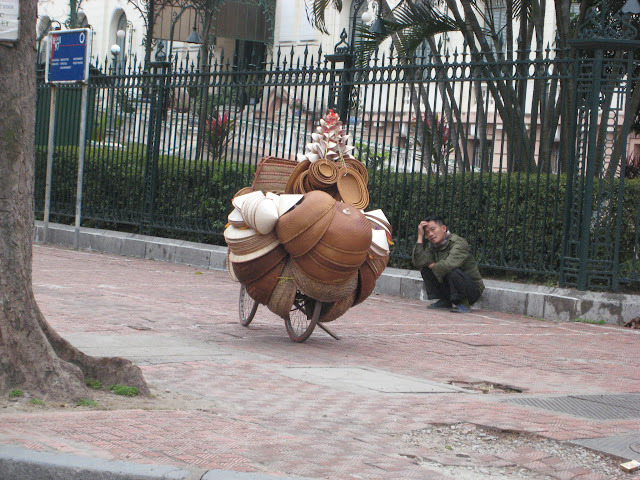 The guy tranports hats and baskets on the bicycle. Bicycles are still very used in Vietnam for day to day transportations.